Do You Want An Easy Way To Keep Your Condo Residents Happy And Compliant? Keeping your residents happy is critical to the long term success of a condominium. One of the best ways to do that is to foster a healthy community. ICC® are experts in making sure that all residents are kept aware of information and satisfied. A resident living in a condominium is part of a larger community. Whether in a high-rise, a sprawling complex, or a smaller multi-unit building, it is important for those who live there to feel connected to their neighbors, the board of directors, and those who manage the property. Proper condo property management involves good communication as well as good service. ICC® Property Management Ltd. understands the need for good communication, which is why they strive to provide comprehensive community services in addition to the condominium management services they provide to their book of clients. For new residents and owners, ICC® ensures that a welcome package is issued so that they can be made aware of the rules, regulations, and policies of their new home. ICC® also releases a quarterly newsletter that helps keep everyone up to date on community events, policy changes, and other happenings. This attention to detail is what sets ICC® apart from other condominium management companies Toronto has to offer. Aside from welcome packets and newsletters, it is also important for residents to receive copies of the board meeting minutes each month. ICC® ensures these minutes are posted around the community in accessible places so residents can stay up to date. 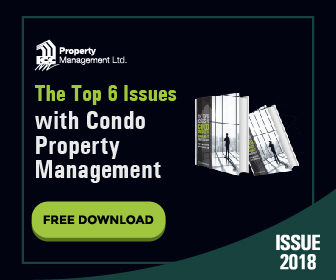 The emphasis on good communication increases residents’ compliance with the governing documents of the condo, and enables the board and management to enforce the policies and rules articulated in the declaration and by-laws more effectively. In addition, ICC® develops the procedures required to effectuate this enforcement, including recording infractions, providing acceptable notices, and pursuing any actions required to ensure further conformity. All of these practices are underscored by ICC® ’s dedication to a core set of values: integrity, service to residents and the board, excellence, and respect. ICC® works with each individual client to determine which services they need in order to maintain a clean and happy community. ICC® also focuses on developing services that are in line with the standards and best practices articulated by the Association of Condominium Managers of Ontario, of which ICC® is a corporate member in good standing. Contact us to learn how ICC® can take your condominium’s community to the next level.